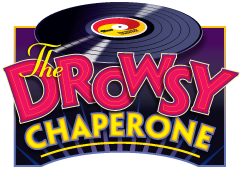 This recent Tony Award winner for Best Musical on Broadway revolves around one musical theatre fan’s obsession with a fictional show from the 1920s - ‘The Drowsy Chaperone’. As he listens to the record, the characters come to life in his apartment. This is the story of a Broadway actress, Janet Van De Graaaff, who wants to marry the debonair Robert Martin and give up her stage career. Janet’s producer, Mr. Feldzieg, must stop the wedding because if she quits show business, he'll lose his job! Further, gangsters threaten Mr. Feldzieg since if Janet quits, they lose their investment. All of this comes to life out of the imagination of 'The Man in the Chair' as 1920's mayhem and mischief ensue. An old-fashioned laugh-a-minute crowd pleaser. CLYDE BERRY (Man in Chair, Director) Kyle would like to thank the Plaza producers for the opportunity to direct his second production in Cleburne. He's also extremely grateful to be able to pull together most of the same production team assembled for ANNIE GET YOUR GUN: Eddie Floresca, Kristin Spires, JaceSon Barrus, Aaron Siler, and Tina Barrus. As a Director, Kyle knows the importance of surrounding himself with people that are much more talented than he is, and the show you are about to see is truly a collaborative effort of an amazing production team, cast, and crew. Thanks to Jay Lewis, Stefanie Glenn, and Cessany Ford for joining the craziness on the production end. Kyle has previously been seen in PlazaCo's JOSEPH, SMOKE ON THE MOUNTAIN: HOMECOMING, and CRAZY FOR YOU. Other directing credits include 25th ANNUAL ...BEE, and the regional premiere of TUNA DOES VEGAS. Kyle will be taking a hiatus from performing and directing for the rest of 2012, but looks forward to sharing a chair with future Plaza audiences. TRICH ZAITOON (Mrs. Tottendale) Trich performs in theatres all over the metroplex and absolutely loves being at Plaza. She has performed several times here at the Plaza. You may remember her as Truvy in STEEL MAGNOLIAS, Emma in OVER THE RIVER AND THROUGH THE WOODS and most recently at Betty Meeks in THE FOREIGNER. She is delighted to be making her musical debut at Plaza in this show. Trich would like to thank director Kyle not only for his courage in casting her but for his constant encouragement. She would also like to thank this amazing cast, Stage Manager Stefanie, Music Director Kristin and Choreographer Eddie for bringing this show to life by their hard work. Trich is represented by Linda McAlister Talent and has her own production company with fellow diva Cindy Almond called A to Z Girls Productions.She would like to thank her family and friends for their continued love and support. LUKE HUNT (Underling) Luke is performing in his twelfth production at PlazaCo having previously appeared as Long John Silver in TREASURE ISLAND which earned him a Column Award nomination for best actor, Lank Hawkins in CRAZY FOR YOU, Charles Dickens in A CHRISTMAS CAROL, Sir Anthony Dewhurst in THE SCARLET PIMPERNEL, and most recently as Froggy LeSeuer in THE FOREIGNER. He has also appeared locally with the Carnegie Players as Aslan in LION...WARDROBE, Count Dracula in DRACULA, and Thomas Jefferson in 1776. Luke is the theatre teacher at Alvarado Junior High School and is a co-owner of Dance Across Cleburne with his wife, Rachel. JONATHAN METTING (Robert Martin) Previously seen at Plaza as Bobby in CRAZY for YOU, Rev. Oglethorpe in SMOKE ON THE MOUNTAIN, Joseph in JOSEPH...DREAMCOAT, Cornelius in HELLO DOLLY, Tommy in ANNIE GET YOUR GUN, and Ozzy in THE SCARLET PIMPERNEL. Past favorite roles include: Huck in BIG RIVER, Freddy in MY FAIR LADY, Charlie in GOOD MAN...CHARLIE BROWN, Dickon in SECRET GARDEN, Barnaby in HELLO DOLLY, Barrett in TITANIC, Man 1 in SONGS FOR A NEW WORLD, Younger Brother in RAGTIME, Gary/Roger in NOISES OFF, Happy in DEATH OF A SALESMAN, Laurie in LITTLE WOMEN, John the Baptist/Judas in GODSPELL, Armand in THE SCARLET PIMPERNEL, and Bob Cratchit in A CHRISTMAS CAROL. "Thanks Mom, Dad and little Princess (yes, i just thanked my dog) for putting up with my sometimes crazy schedule." DOUG HENRY (George) Once a nightclub singer throughout New York’s famous “borscht circuit,” Doug is excited to be cast in his third Plaza production, having just finished runs as FDR in ANNIE & Everett in CRAZY FOR YOU. Originally from Houston, his professional experience in Texas, Kansas & New York includes roles as Bundles & Healy in ANNIE, Eddie in FUNNY GIRL, lead singer in COLE, Marcellus in MUSIC MAN, Cornelius in HELLO DOLLY, supporting actor & singer in TEXAS at Palo Duro Canyon, & three years as a member of the Fort Worth Opera Chorus. Film credits include the role of the”Preacher” in a comedic music video for Bluefish TV Productions, extra work in TNT’s DALLAS pilot, & 1st episode (which is set to air this summer), & the film I AM… GABRIEL, and Featured Extra in the short film CUPCAKE. Doug would like to thank God for His blessings, the production staff for this opportunity, and his wife, Marla, for her loving support. JAMIE LONG (Mr. Feldzieg) You might remember Jamie more recently as the Rabbi in FIDDLER ON THE ROOF, or as Dr. Chumbly in HARVEY, or Colonel Pickering in MY FAIR LADY, or Franz the Butler in THE SOUND OF MUSIC. Recently he appeared as Eusie in THE WEAVING in the Lincoln Center on Broadway in New York City. He wishes to say a special Thanks to his wife Alieze, his golfing partner and wife of forty five years. And Kyle Macy, for letting him be in this awesome production with this wonderfully talented cast and crew. We hope You have some real fun and plan on coming back again soon. JAYE-JENNY SMITH (Kitty) This is Jaye-Jenny’s second show with PlazaTheatre Company, and she is thankful to be given such a fun role. She studied dance and music at the University of Washington and worked for two years as a professional cheerleader for the Arena Football League. Her favorite credits include Lily St. Regis in ANNIE and Mary Catherine in THE DANCERS. "I thank God for bringing me to a theatre full of genuine people with such amazing talent." BEN PHILLIPS (Aldolpho) Ben Phillips is pleased to be back at Plaza, where he previously appeared as the Baker in INTO THE WOODS (2011 Column Award, Best Actor in a Musical - Non-Equity) and Citizen Chauvelin in THE SCARLET PIMPERNEL. Other past roles include George in DON'T DRESS FOR DINNER (2011 Stony Award), Lloyd Dallas in NOISES OFF!, Ebenezer Scrooge in SCROOGE: THE MUSICAL, Major Powell in CORPSE!, Hysterium in A FUNNY THING HAPPENED ON THE WAY TO THE FORUM, Frank in EDUCATING RITA, Jake Quinn (et al.) in STONES IN HIS POCKETS, and Sweeney Todd in SWEENEY TODD. Ben's voice can be heard in such animated series as MURDER PRINCESS, FULLMETAL ALCHEMIST: BROTHERHOOD, HEROIC AGE, and ONE PIECE from FUNimation Entertainment. CAITLAN LEBLO (The Chaperone, Trix, Ensemble) Caitlan is very excited to be in her fifth show here at Plaza! Previously at PlazaCo, Caitlan played In ANNIE, CRAZY FOR YOU, JOSEPH...DREAMCOAT and BEAUTY AND THE BEAST. She has also been in A CHORUS LINE and OUR TOWN at Theatre TCU. Other shows include THOROUGHLY MODERN MILLIE, SEUSSICAL, LES MIS, THE IMPORTANCE OF BEING EARNEST, GODSPELL, JOSEPH...DREAMCOAT, and many others at various other theatres. Caitlan is an education major at TCU, where she had the pleasure of singing in the TCU Concert Chorale, under the direction of Dr. Ron Shirey. She also had the amazing opportunity to sing at Carnegie Hall with TCU's Concert Chorale, as well as perform off-Broadway with KWC. Caitlan hopes to teach music in the future. Caitlan works with the youth and children at Granbury FUMC where she has directed two children's musicals and conducts the children's choirs. She feels very blessed to be sharing the stage with such an awesomely talented cast! JILL BAKER (Trix, Ensemble) can't believe this is already her eleventh Plaza production! Previous credits include ANNIE (Grace Farrell), INTO THE WOODS (Rapunzel), SMOKE...HOMECOMING (Denise), & THOROUGHLY MODERN MILLIE (Miss Dorothy). Other favorites are FIDDLER ON THE ROOF (Chava), ASSASSINS, & SHOW BOAT in Concert. Jill holds a B.M. in Music Theatre from Oklahoma City University and currently teaches drama for Dallas Children's Theatre. Lots of love to this AMAZING cast and crew! G. AARON SILER (Gangster #2) hopes you enjoy this show as much as we are putting it on for you. You may remember Aaron as Tevye in our recent production of FIDDLER ON THE ROOF. Other Plaza credits include Horton in SEUSSICAL, Charlie Brown in GOOD MAN...CHARLIE BROWN, Bufflo Bill in ANNIE GET YOUR GUN, and many more. Past Plaza directing credits include ARSENIC AND OLD LACE, HARVEY, SEUSSICAL, INTO THE WOODS, and TREASURE ISLANDwhere he won BEST DIRECTOR in 2012 The Column Awards. Aaron has also won multiple Column Awards for Best Scenic Design, and Best Sound Design, and the Rudy Seppy Volunteer Award. Aaron is a proud father of three wonderful kids and husband to Milette, also a co-founder here at PlazaCo. JACESON P. BARRUS (Gangster #1) JaceSon loves being a part of this wonderful cast of folks in such an original production. Other favorite role here at Plaza include WILL ROGERS FOLLIES, THE MUSIC MAN, AIDA and INTO THE WOODS. His favorite role is as Dad to Tabitha, Parker, Cameron, Eden Grace, Miranda and Jonah. Love to the best part of my life Tina. EMILY WARWICK (Ensemble) Emily could not be happier to be in her fourth Plaza show, previously seen as a villager in FIDDLER...ROOF, Star-to-be/Boylan Sister in ANNIE and Widows Drews in TREASURE ISLAND. Other previous roles include Ayah in SECRET GARDEN at Casa Manana, Babe Williams in PAJAMA GAME, and Cat in the Hat in SEUSSICAL, PETER PAN, MYSTERY OF...DROOD, CHILDREN OF EDEN, SCHOOLHOUSE ROCK, and BEEHIVE! Emily would love to thank Kyle, Kristin, Eddie, and the rest of the production team for letting her be a part of this adorable show! She is very excited to dance her tush off to all the catchy numbers every night. "A big thank you to my friends and family for understanding the "..I can't, I have rehearsal" line. I love you, guys!" JULIA EKPO (Ensemble) Julia is thrilled to be returning to the Plaza stage as an ensemble member in this fantastic show. She was first seen as a sub dancer in A CHRISTMAS CAROL and has since been a featured dancer in HELLO DOLLY, and a town villager in FIDDLER ON THE ROOF. She'd like to thank the amazing cast, directors, production team and wonderful stage manager for all the time, energy, and laughs that have all been put into this amazing show! JUSTIN DIYER (Ensemble) Justin is excited to be making his Plaza Theatre debut with this amazing production. Past shows Justin has been apart of are ONCE UPON A MATTRESS, A SLOW DANCE IN JACKSON and OZ. In his spare time Justin plays guitar, piano and percussion. Thanks to Kyle, Eddie and Kristin for this incredible opportunity! KASI HOLLOWELL (Ensemble) is delighted to be a part of this terrific show. She was most recently seen on the Plaza stage in CRAZY FOR YOU as Polly Baker, SMOKE...MOUNTAIN as Denise, JOSEPH...DREAMCOAT as Potiphar's Wife, and dancing in ANNIE GET YOUR GUN and HELLO, DOLLY. Some favorite roles include Ariel Moore in FOOTLOOSE at PlazaCo, Mrs. Meers in THOROUGHLY MODERN MILLIE, Dorothy in OZ! and Thea in SPRING AWAKENING: A...TRAGEDY. Kasi spends her days teaching Musical Theatre at Studio C Dance in Burleson and making great attempts to emulate Tina Fey to whom she dedicates her performance as Shrub #1. "Big thanks to Kyle, Eddie, and Kristin. My love to Mom, Dad, JoJo, Sarah, and Michael." LLOYD EKPO (Ensemble) Lloyd Ekpo would like to thank the directors and producers for casting him in this wonderful show. A BIG thanks to Eddie Floresca for taking the time to teach him some mad tap dancing skills. Previous shows you may notice Lloyd from are FIDDLER ON THE ROOF and ANNIE GET YOUR GUN where he was a featured dancer. "I'd also like to thank my wife for getting me to face my fears and get on the stage!" STEFANIE GLENN (Stage Manager) is thrilled to be back working at Plaza. Stefanie has enjoyed Stage Managing HELLO DOLLY, THE SCARLET PIMPERNEL, AIDA, THE MAN WITH THE POINTED TOES,THE SECRET GARDEN and FOOTLOOSE. Stefanie has worked as Stage Manager, Director, Featured Dancer and Actor in such productions as ANYTHING GOES, CRAZY FOR YOU, WILL RODGERS FOLLIES, THROUGHLY MODERN MILLIE, MY FAIR LADY, SINGIN’ IN THE RAIN, BIG RIVER, CASH ON DELIVERY, SEVEN BRIDES FOR SEVEN BROTHERS, 42nd STREET, A MIDSUMMER NIGHT’S DREAM, THE IMPORTANCE OF BEING EARNEST, and OKLAHOMA!. Stefanie is also a proud recipient of the 2009 Column Award for Best Stage Manager of a Musical-Non Equity. Stefanie holds a Master of Arts from Texas Woman’s University with an emphasis in Directing and Stage Management and a Bachelor of Arts from Harding University with an emphasis in Acting. Hugs and kisses to Humphrey, Gigi, Lily, Fiona and Monica. CESSANY FORD (Assistant Stage Manager) Cessany is thrilled to be working at Plaza again with this fantastic cast and production team! She just recently finished her final semester at Ouachita Baptist University, where she received a degree in theatre. Her previous shows include FIDDLER ON THE ROOF,JOSEPH...DREAMCOAT, DON GIOVANNI, YOU HAVE TO SERVE SOMEBODY, ALL SHOOK UP, SEUSSICAL, and SIX CHARACTERS IN SEARCH OF AN AUTHOR.Cessany would like to thank Hannah, Andrew, and Kyle for their unending support, even if they do call her Patient Zero. EDDIE FLORESCA (Choreographer) Eddie is ecstatic to return to Plaza after choreographing ANNIE GET YOUR GUN last year. Training: UNT (Bachelor of Music); DCJ's School of Dance (ballet/jazz); Arthur Murray's/M.E. Dance Studios (ballroom). Awards: The Column's Chita Rivera Award and Best Choreographer (both for WEST SIDE STORY). Industrials: Mary Kay Cosmetics, Ebby Halliday Realtors, and The Miss Philippines Texas Pageant. Some of his favorite roles include: Larry (A CHORUS LINE), Ito (MAME), Chino/Pepe (WEST SIDE STORY), Judah/Asher/Dan (JOSEPH…DREAMCOAT), and Wrangler (WILL ROGER’S FOLLIES). Other credits include: CAROUSEL, EVITA, GUYS AND DOLLS, HELLO DOLLY!, SINGIN’ IN THE RAIN, SHOWBOAT, SWING, and THE KING AND I. Choreography credits include: THE ARK, CINDERELLA, MY FAIR LADY, FIDDLER…ROOF, BRIGADOON, OKLAHOMA, SOUTH PACIFIC, JOSEPH…DREAMCOAT; BYE BYE BIRDIE; WILL ROGER’S FOLLIES; and THE 25TH...SPELLING BEE. "Thanks to Plaza for always welcoming me, and especially to Kyle for always believing in me!"